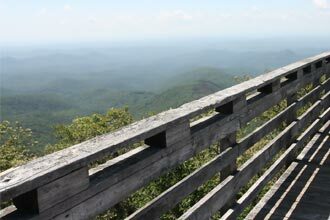 From high atop Georgia's second tallest mountain, you'll be reminded of the immortal words of Neo, "Whoa." 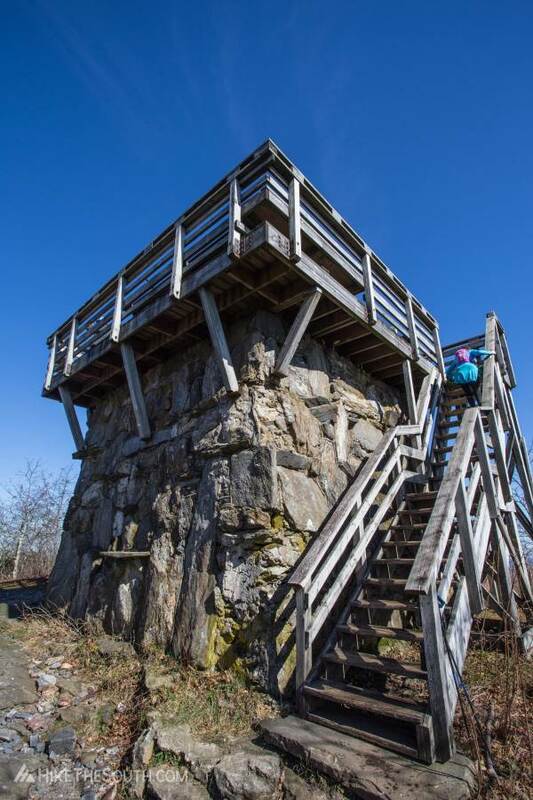 Rabun Bald's observation tower takes you above the trees to offer massive views in all directions. 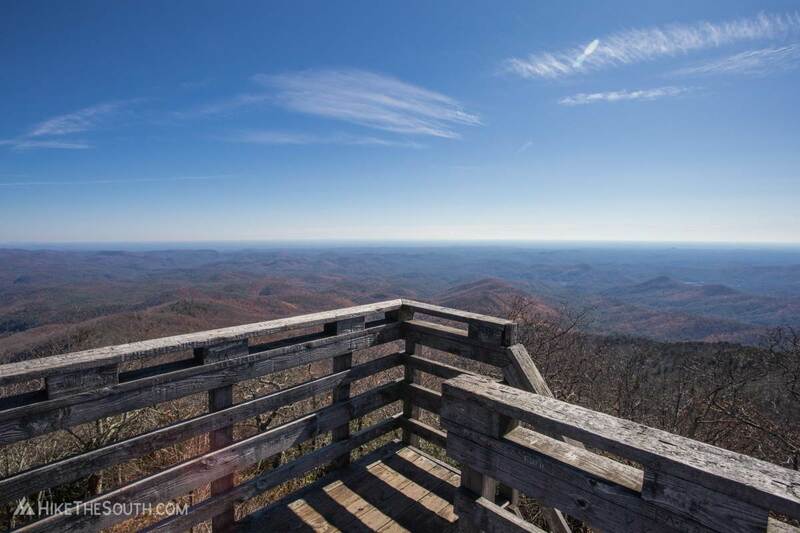 If you don't think this is the best view in Georgia, you're wrong. 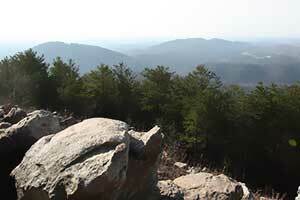 The Rabun Bald Trail is not the most popular route to Rabun Bald's summit, and as such, there's no parking area. Just pull off to the side along Hale Ridge Road. 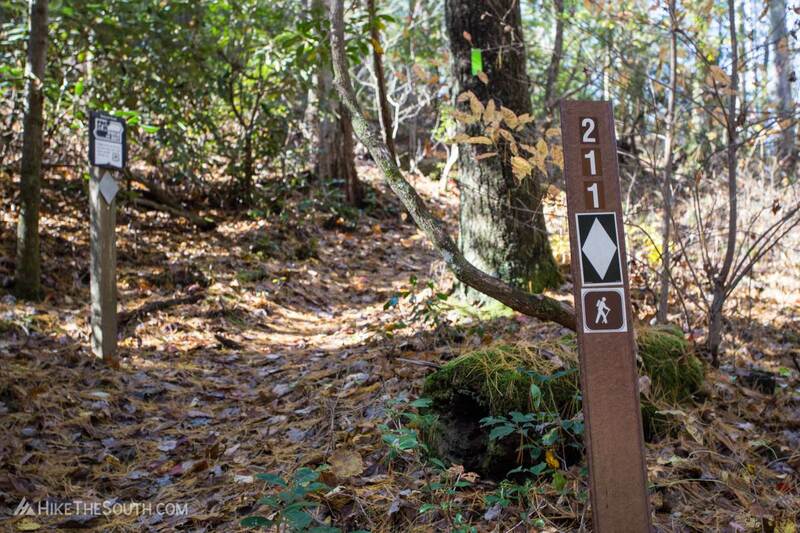 Look for the trail marker for #211 and a hiker sign if coming from the north. 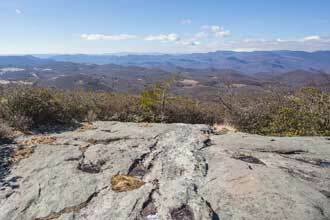 The first blaze you'll see is green, but the remaining trail is marked with a white diamond. 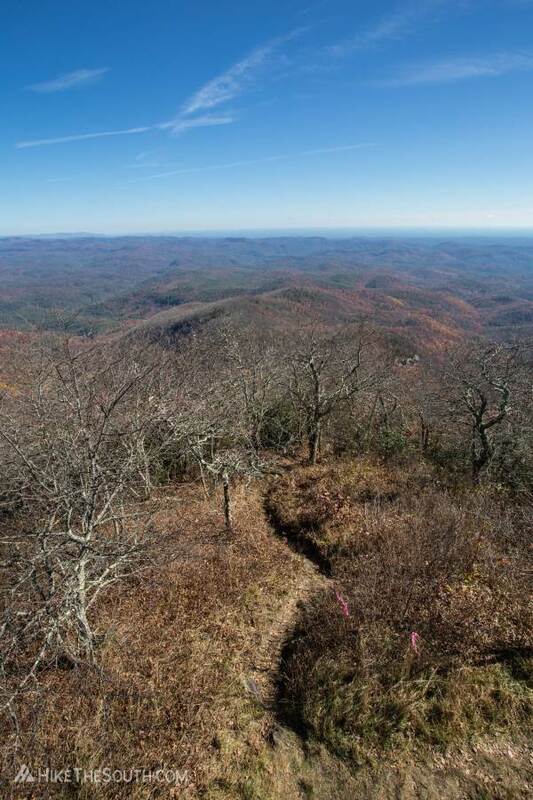 If you want the easier hike, try Rabun Bald via Beegum Gap or Rabun Bald via Hale Ridge Road. 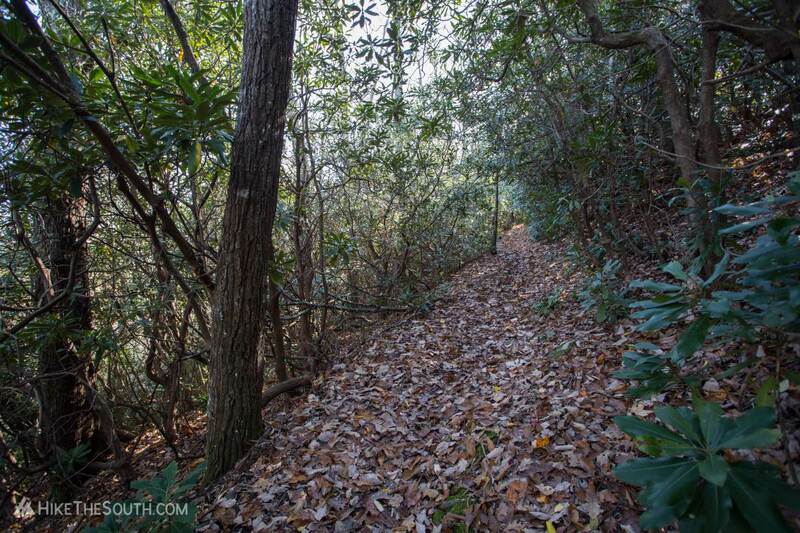 If you want a workout, this is your trail. 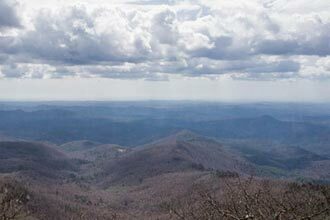 Climbing over 2300 feet in less than 3 miles, the Rabun Bald trail averages about 800 feet per mile incline, but several sections including the last half mile gain at over 1500 feet per mile. 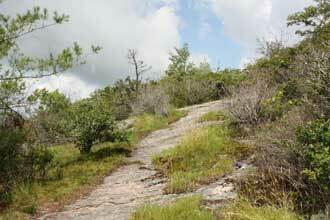 Other than that, the trail is easy to follow with no intersections until the top. 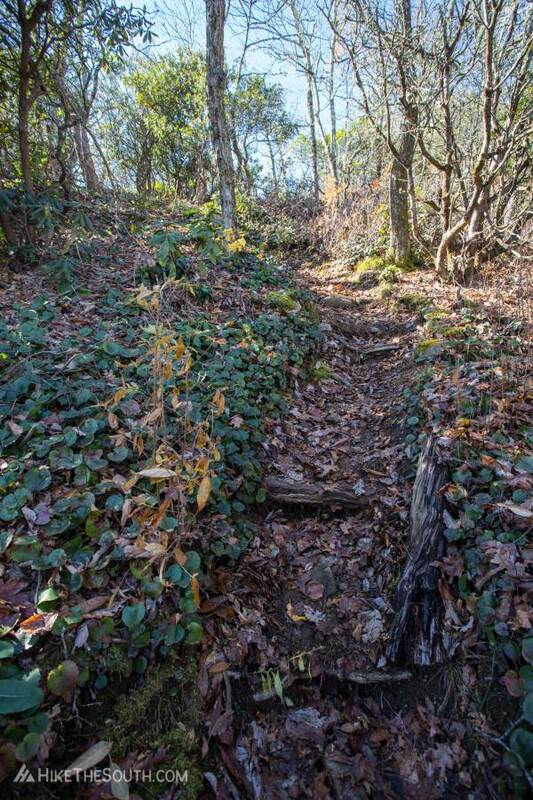 From the look of it, the trail may be a bit wild and overgrown in the summer. 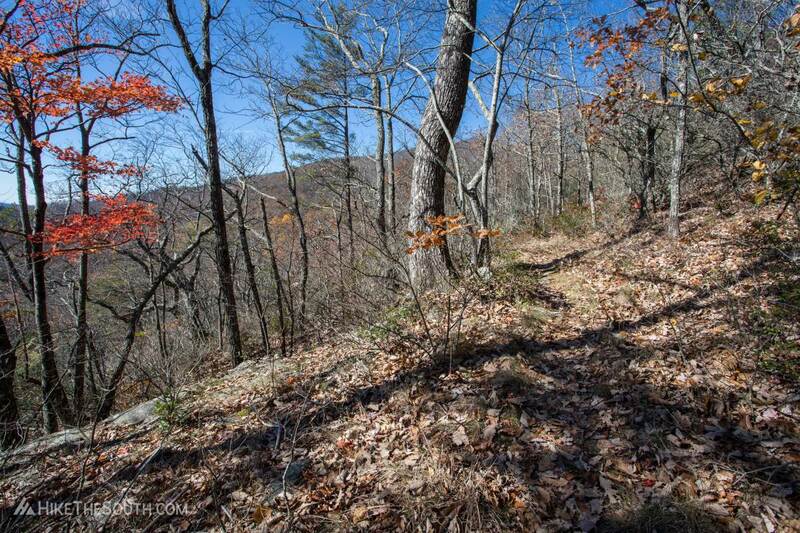 The way down can be just as challenging with a few wet muddy sections presenting some hazard on both up and down. 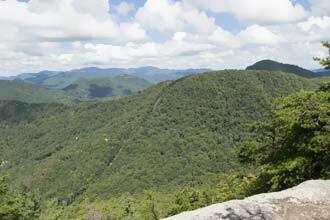 All your hard work is rewarded when you finally summit Rabun Bald. 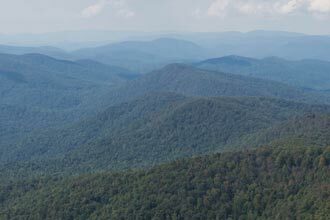 From above the trees on the observation tower, Rabun Bald affords 360° views over a sea of rolling mountains. Expect strong winds at the top which feel great in summer, but will quickly chill you in winter. 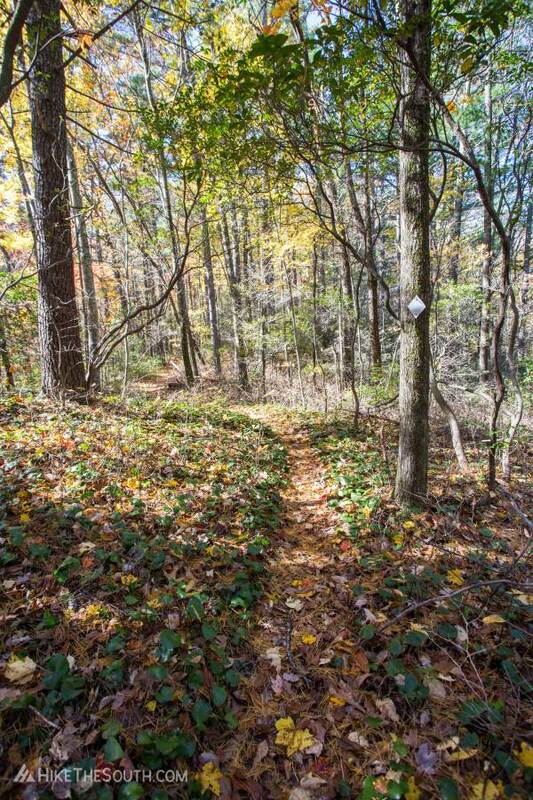 0.0 mi - Trailhead Starting at Hale Ridge Road, look for the #211 trail post. 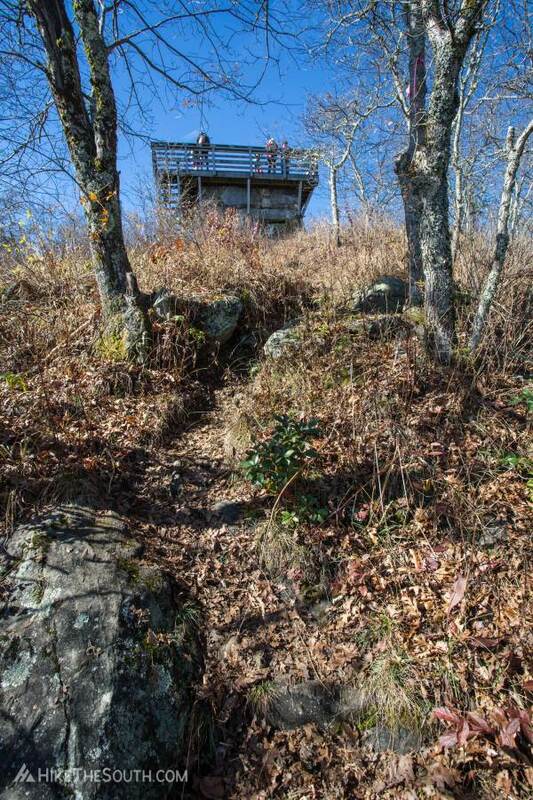 2.7 mi - Rabun Bald Summit Arrive at the summit and observation tower. Hale Ridge Road is a bit bumpy and you will have to navigate around a few ruts, but overall is fine for low clearance and 2-wheel drive vehicles. 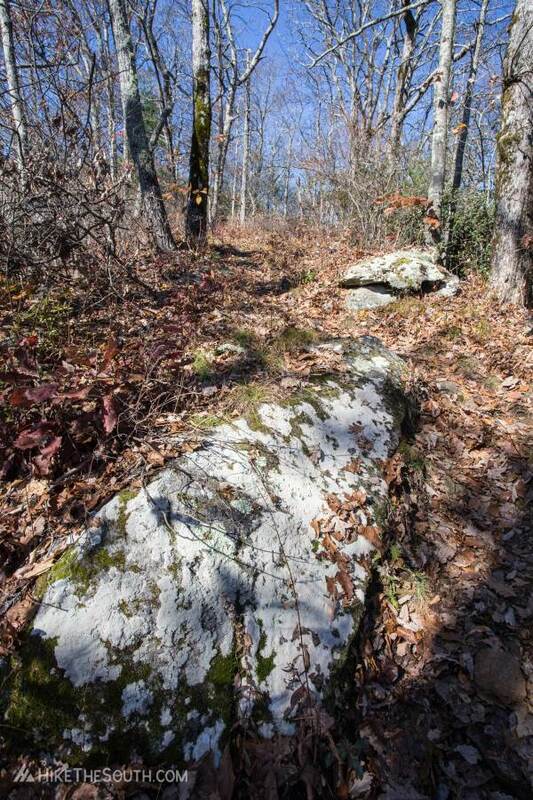 Look for the post with trail #211 and a hiker sign visible if driving south on Hale Ridge Road. 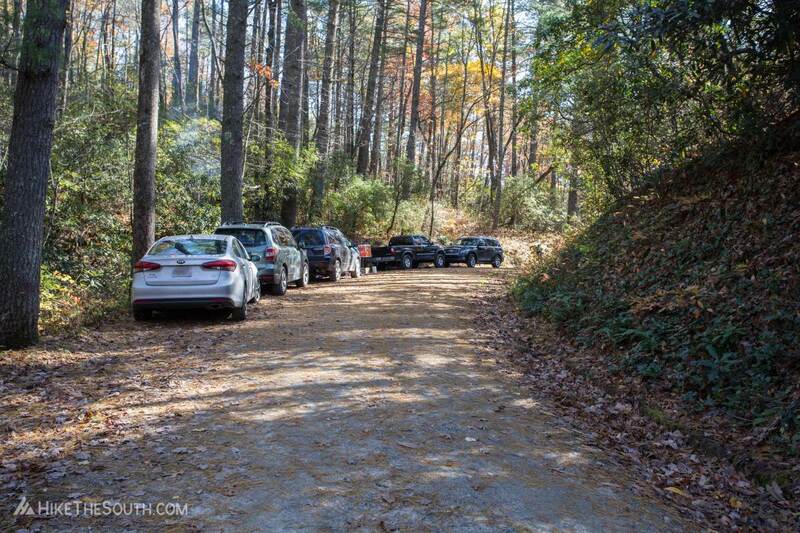 10-15 vehicles or as far down the road as you want to park. 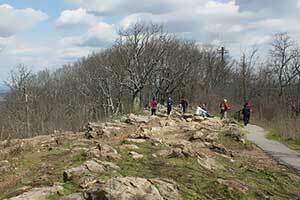 A few muddy sections and some slick wet rocks that will be more of a challenge on the hike down rather than up. 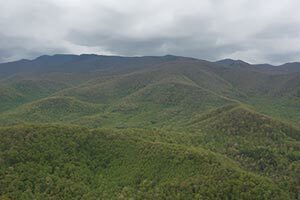 This is my personal choice for best view in Georgia. You can disagree but you're wrong. 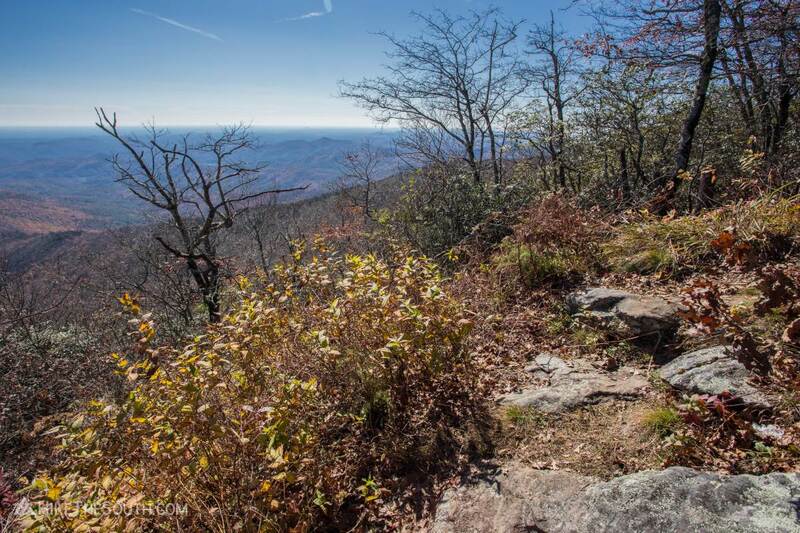 This less traveled trail will give you some solitude and some heavy breathing. It's steep to say the least. 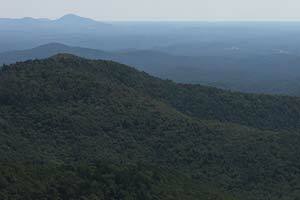 But the views at the top really are amazing.